Virginia Beach, USA 8/29/18 – Choosing the right vacuum supply can lead to huge cost savings in plastics processing. Mar-Bal, Incorporated has undertaken a critical review of the existing vacuum supply for injection molding when moving to a new plant and has collaborated with Busch LLC to find a solution that will achieve savings in energy, maintenance and production times. Mar-Bal, Incorporated was founded in 1970 by Jim Balogh with the idea of serving customized materials to a specialty market. Today Mar-Bal is run by Balogh’s sons, Scott and Steven. 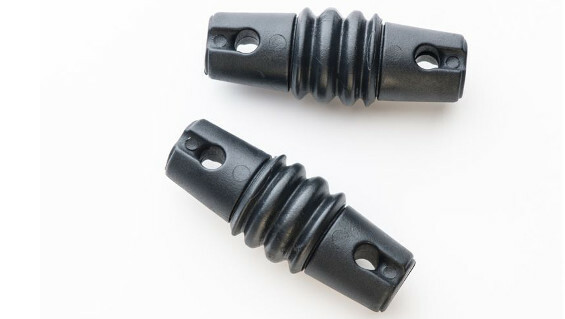 The company, an industry leader in composites, sells its own proprietary products, including electric standoff insulators and fire-resistant wastebaskets made from thermoset materials with fiber-glass reinforcement. Mar-Bal, Incorporated, headquartered in Chagrin Falls, Ohio, is focused on manufacturing custom molded parts for electrical distribution and control devices (Figure 1), plus a wide range of components for the appliance industry. More than 130 employees work around the clock, five days a week in Ohio to mold parts for electrical switchgear, controls, motors, drives, circuit breakers, transformers and telecommunication devices. Mar-Bal also produces molded parts with nearly 400 employees at plants in Virginia and Missouri and just recently opened a location in Shanghai, China. Mar-Bal also has a state-of-the-art laboratory where a material engineering team customizes compounding materials to customer specifications. However, Mar-Bal has grown a lot since its inception in 1970. In the early years, Mar-Bal facilities had 30 individual oil-lubricated rotary vane vacuum pumps directly installed at the injection molding machines delivering the vacuum for evacuating the mold cavity. Each vacuum pump required regular service and Mar-Bal employees had to halt production to tend to the vacuum pumps. In 2016, Mar-Bal moved to a new facility and vacuum specialists from Busch developed a new concept to find a more efficient solution for the vacuum supply of the injection molding machines. The team quickly agreed that a centralized vacuum supply would be the ideal solution to eliminate the previous disadvantages of the decentral solution. 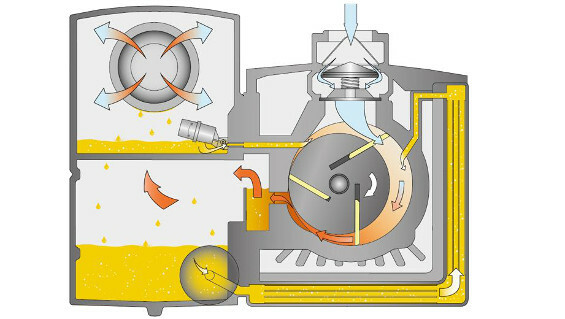 The basis for designing the centralized vacuum system where two brand new R 5 rotary vane vacuum pumps that are located in a separate machine room outside of the production facility (Figure 2). The new centralized vacuum system has been in operation since March 2017. Its main components are two R 5 rotary vane vacuum pumps (Figure 3) which deliver vacuum to 23 injection molding machines at the moment. But the vacuum system has enough capacity to add up to 10 more injection molding machines. There are buffer tanks between the centralized vacuum system and the molding machines to ensure the required vacuum level is constantly available. Vince Profeta, Vice President of Product Engineering & Manufacturing Technologies at Mar-Bal, Incorporated is convinced that Mar-Bal installed the most advanced vacuum technology with the new centralized vacuum system from Busch. The new system is far superior to the previous vacuum supply when it comes to the level of maintenance and susceptibility to failures. 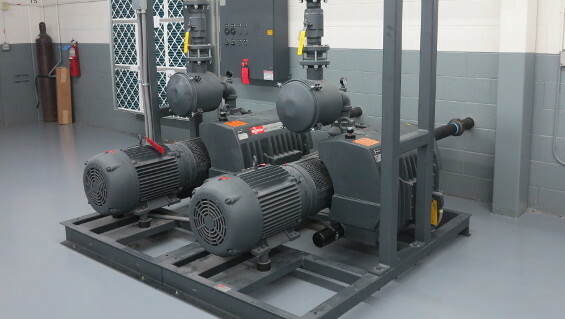 Mar-Bal has eliminated the maintenance and break-downs at single vacuum pumps. Due to the reduction of the single vacuum pumps at each injection molding machine to only two, rotary vane vacuum pumps in a centralized system energy consumption reduced by 75 percent. Vince Profeta and the Mar-Bal team are very happy with the new vacuum solution. In addition to the energy savings and reduced maintenance, Mar-Bal now has a modern, consistent vacuum supply with additional savings by improving molding quality. This case study originally appeared on the Busch Vacuum Pumps and Systems website on August 29, 2018. This entry was posted in News and tagged Busch Vacuum Pumps and Systems, composites, engineering, manufacturing, Mar-Bal, Ohio, Thermoset Composites, Thermosets on September 17, 2018 by Brian Leftwich.